Molson was founded in 1900 by promoter George B. Meacham, and investor John W. Molson (of the Molson beer brewing family). 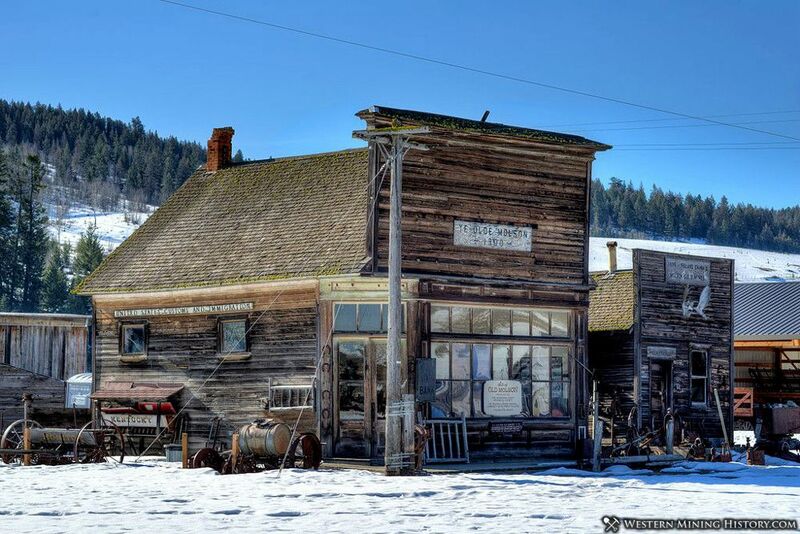 The mining town's population boomed to 300 that year, and the town had a newspaper, general stores, an attorney, doctor, saloon and hotel. By 1901, as the mining was failing, the population fell to 13 people. When news of a railroad being built in Molson arrived in 1905, the population rose again. J.H. McDonald filed for a homestead including much of the town of Molson. In 1909 McDonald enforced his homestead by publishing a notice that everyone on the property was required to depart. Citizens then founded New Molson,1/2 mile north of the site of Old Molson. This is also possibly the location of Molson, Okanogan County, Washington that was incorporated on February 13, 1920. It was then disincorporated on 6 October 1921 by order of the Washington State Supreme Court, as the incorporation was declared invalid. The Molson post office was established July 14, 1900, with Walter F. Schuyler as first postmaster. The post office was discontinued August 11, 1967, with mail to Oroville.